A birthday deserves a special cake. This is one that I made for my lovely daughter in law Rachel. 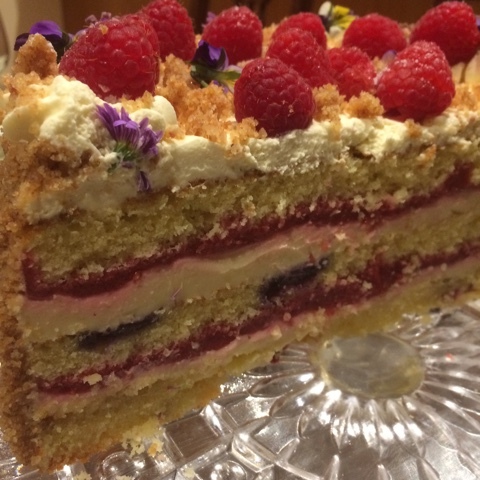 This cake has three delicious layers of moist berry studded cake, with layers of jellied raspberry puree, cheesecake and my favourite vanilla cream frosting. It keeps well and is perfect to make a day or two in advance. 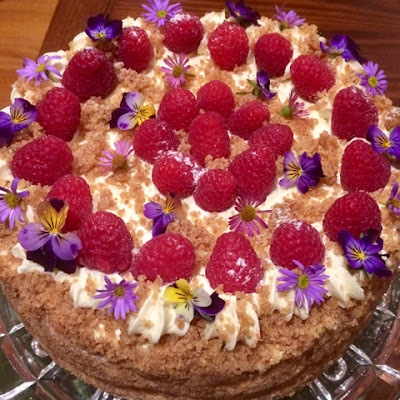 Serve as a cake or with some additional berries for an indulgent dessert. 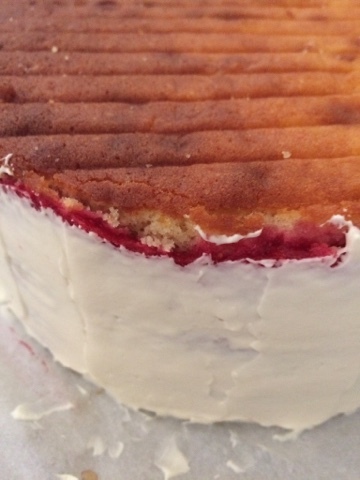 The cake is not difficult to make, each layer is simple, however you need to allow time for each component to be made and cool. 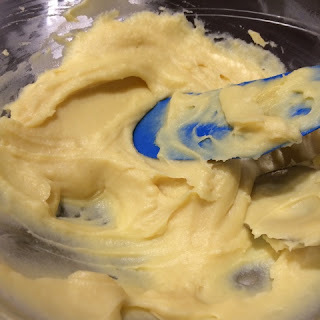 It is important to assemble the cake before making the vanilla cream frosting as the additional gelatin in the cream will make it set and harder to spread/pipe. 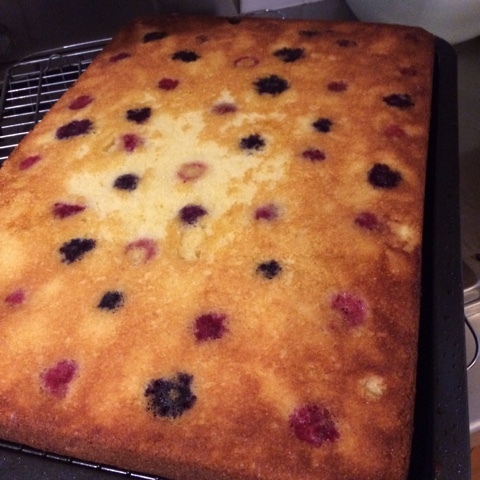 I also like to leave the assembled cake for a few hours before cutting and serving. 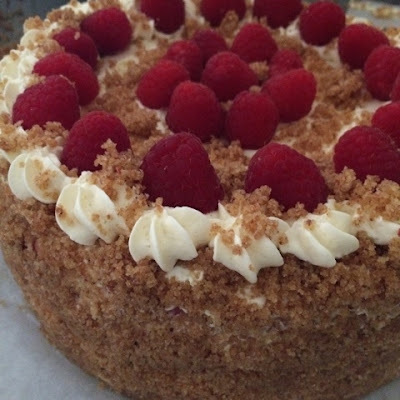 A gluten free version can be made by substituting the cake from Lemon Bounty Layer Cake recipe. Spread the cake batter into the prepared pans and push frozen berries into the cake batter. Bake cake. Sometimes I bake in a large sheet tin and then cut out circles of cake. Sandwich pans can be used. 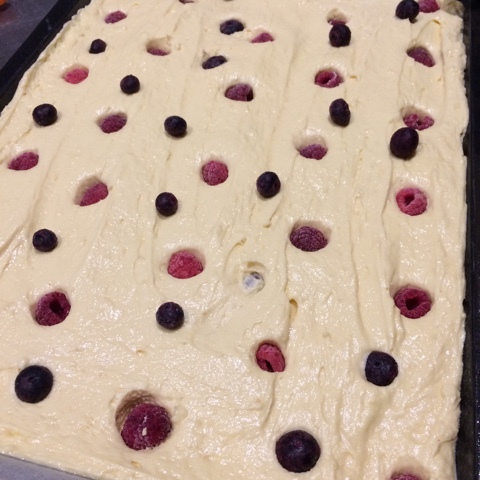 Assemble the cake. I use a ring lined with acetate sheet. 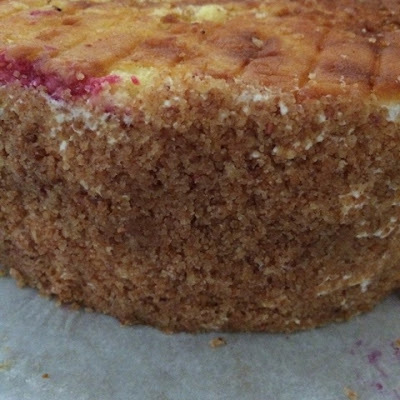 You will need three layers of cake and two of the cheesecake and jelly. 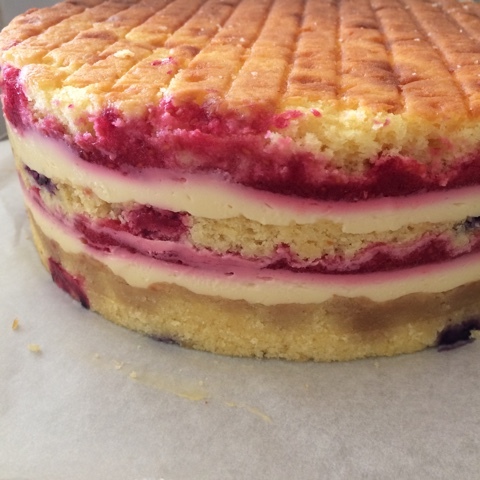 Cake, cheesecake, jelly, repeat finishing with a cake layer. 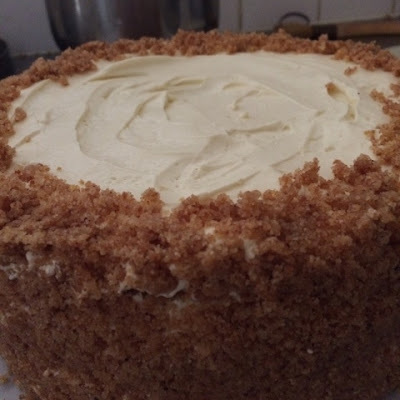 Spread a thin layer of the vanilla cream frosting over the sides of the cake. Carefully pick up the cake and roll in crushed cake crumbs, grated chocolate, chopped roasted nuts or toasted coconut. If desired pipe a decorative edge of the vanilla cream frosting. 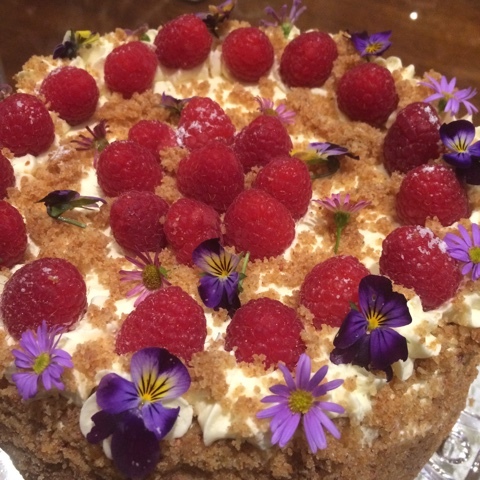 Arrange some fresh raspberries of the top and sprinkle with whatever you used to coat the sides of the cake. Dust with a little sieved icing sugar and if desired scatter with some edible flowers. Stir in flour. Add a little extra flour if mixture seems too soft or a little extra milk if too dry. Bake at 170 deg C for ten minutes and then reduce heat to 160 deg C until cooked. Golden brown in colour, the edges will shrink slightly from side of cake tin and a skewer comes out clean. Combine the jelly crystals and lemon juice in a bowl. Add 1 cup boiling water and stir until dissolved. Add raspberry puree and mix well, refrigerate until starting to set. When partially set beat until foamy or a fluffy texture and return to the refrigerator. Place the gelatin in a large bowl and cover with cold water. 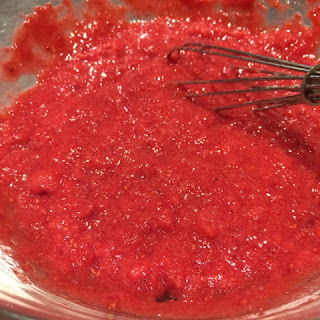 Allow the gelatin to soften or bloom for at least ten minutes. Drain the cold water away and then add 1 tablespoon of boiling water, stir to dissolve gelatin. Allow to cool.